Home, Door and Window Products provides top steel front doors and great quality service to our customers making us one of the leaders in the steel door industry. We have over 150,000 satisfied customers who know that Home and Door is the best place to purchase their steel entry doors or steel exterior doors. Home and Door services both residential homes and commercial businesses with exceptional steel doors that increase the safety of your home or business. Home and Door also carries the Therma-Tru brand which are the most durable and weather resistance doors on the market. Home and Door’s sales associates offer outstanding service to our customers in Waterford. Waterford Township, Michigan, is a great place to live, work and visit! Waterford is centrally located in Oakland County with a population of 71,707. Waterford is a “Lakeland Paradise” with 34 lakes and has much to offer residents, businesses and visitors alike. Purchasing a steel entry door for your beautiful home in Waterford will save you money, not only are our doors stunning but they are energy efficient. Home and Door offers the best selection of steel doors in Waterford. Home and Door’s goal is to make sure our customers receive the steel front door of their dreams. Our custom designed steel doors will enhance the appearance of your home or business. Home and Door provides excellent craftsmanship and terrific customer service. We go above and beyond our client’s expectations. Our sales team is available for questions about our one of a kind steel doors. 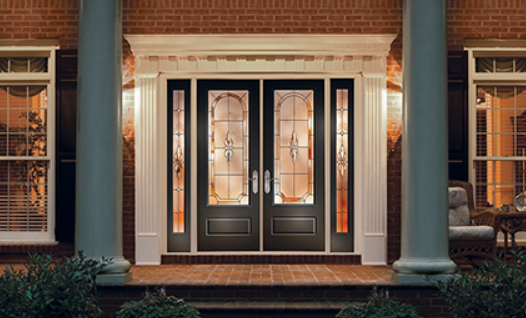 Go ahead and contact Home, Door and Window Products at (248) 399-9900. We guarantee satisfaction!